We are located directly across from Tioga Lodge on highway 395 three miles north of Lee Vining on Mono Lake. All kayaks are provided with carts and can be wheeled to the lakes edge. Also provided are Maps, PFD’s, water proof bags. 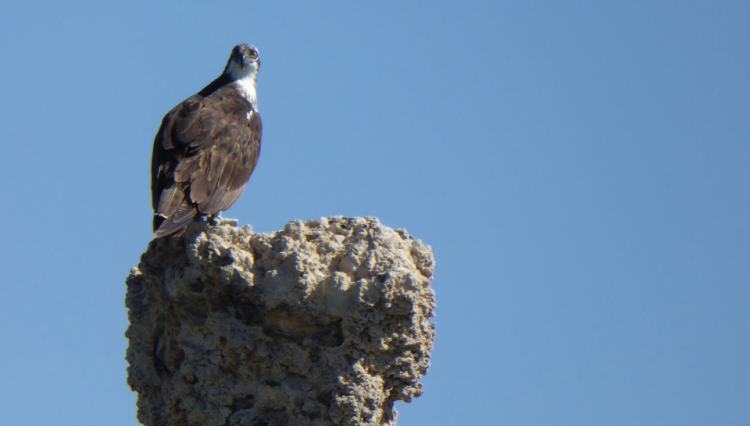 Explore Mono Lake and see first hand the rich populations of birds and discover the rare beauty of the numerous tufa formations. Mornings are the best time for calm weather on Mono Lake. Therefore reservations are only taken for mornings. Kayakers must return by 1 to 2 p.m. A verifiable working cell phone is required for your safety out on the water. Only Verizon provides reliable local coverage. If a working cell phone is not available, a portable radio can be provided. 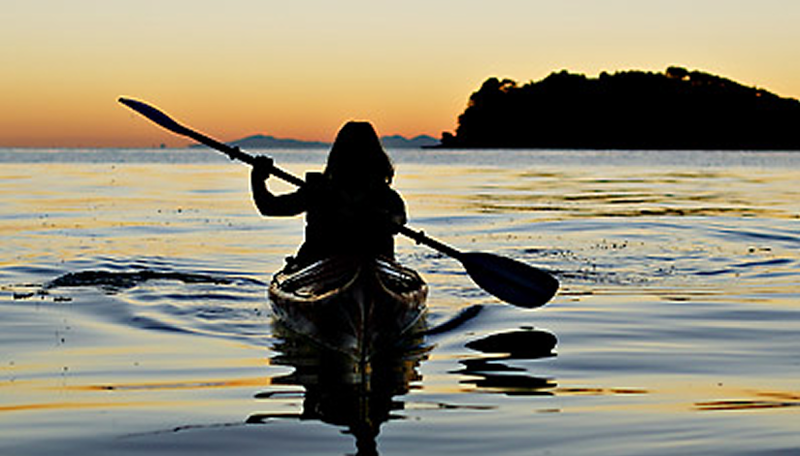 Mornings are the best time for kayaking as afternoons are prone to high winds and can be dangerous. Call ahead for reservations and a wind forecast. We are open during the summer seven days a week. We open at 8:00 a.m. Earlier rentals can be requested. If the afternoons are calm, rentals will continue through late afternoon. 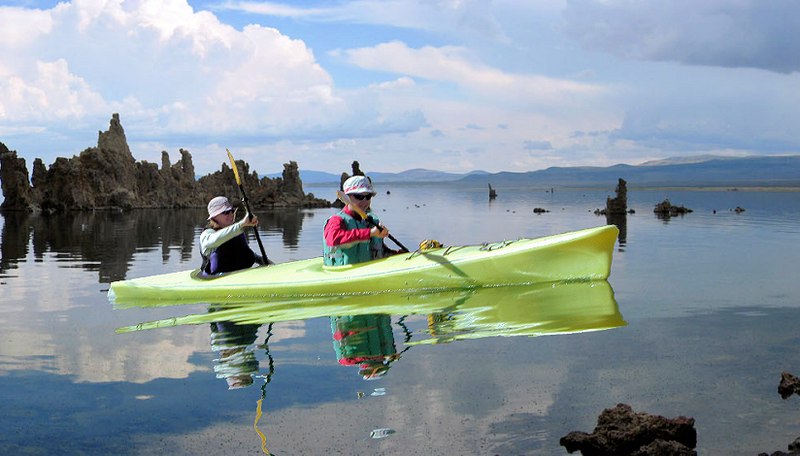 When you're in Mono County, treat yourself to an exciting adventure out on Mono Lake. 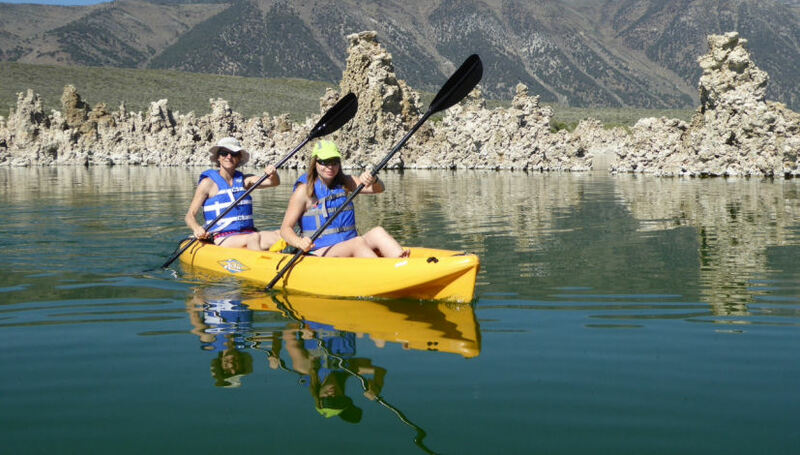 Rent a kayak and explore the beauty that draws thousands of visitors each year. Call for a reservation. Double kayaks are $45/hr and single kayaks $40/hr. Discounts are available for large groups and multi day rentals. Bring plenty of water, sunscreen, hat and snacks. All morning reservations are subject to cancelation due to weather predictions. Please call ahead to verify your reservation. Please call within 24 hours if you need to cancel your reservation. Full payment for reserved kayaks will be charged for a no show or after the 24 hours deadline. Mono Lake is the birth place of thousands of birds that then migrate north, south, east and west. The birds nest on the islands. They feed on the millions of tiny flies that surround Mono Lake. 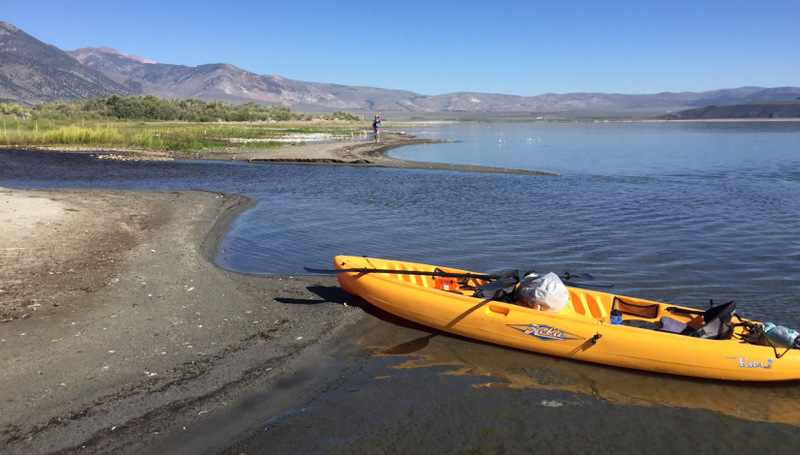 When traveling to Mono Lake why not plan to spend a couple days in nearby Lee Vining. Visit the museum and Mono Lake Visitors Center. Afternoon rentals will be considered if weather conditions permit. So please call to see about an afternoon trip. No reservations for afternoons are available.